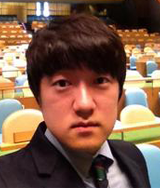 Aaron J. Yoo is the Project Coordinator at the World Federation of United Nations Associations (WFUNA). Prior to joining team, he has been heavily involved with WFUNA's program in the Republic of Korea, actively promoting various projects specializing in youth education programs including Model UN Programs and Youth Empowerment Projects. He has interned for UNA-ROK for 6 months until he started his master's program on international relations in Seoul National University. 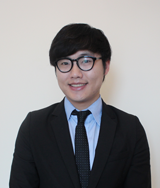 Joon Jang is the Program Assistant at the World Federation of United Nations Associations (WFUNA). 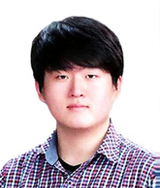 He started his internship at WFUNA Seoul Office in February 2014. He has attended over 30 Model UN conferences in the past 6 years, from 2008, and he organized more than 17 conferences among them. He also served as the Head of Secretariat at last year's WFUNA Youth Camp: Korea. He was heavily involved in Model UN activities in Korea as the student elect Secretary-General of KIC Model UN Secretariat for past three years. Under his leadership, KICMUN Secretariat organized renowned conferences including Yeosu Expo Model UN (YEMUN), which His Excellency UN Secretary-General Ban Ki-moon graced the closing ceremony with his presence. He is currently a Junior at College of International Studies, Kyunghee University. 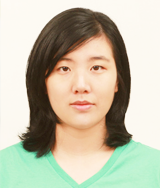 Do Eun Park is currently the student elect Deputy Secretary General that leads the KIC Model UN Secretariat. She is a Sophomore at Kyung Hee University, College of International Studies. Under her leadership, the Secretariat has organized more than five national level conference including the Global Classrooms: Seoul Model UN Conference. 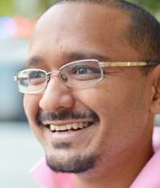 Logandran Balavijendran has been involved in international debate since 2000. He has won the Asian championships twice, made finals of the Australasians and broke at Worlds. He has also been Chief Adjudicator of the World Debating Championships twice. He really enjoys teaching debate, and has run debate workshops in 15 different countries. Until last year, he was a Professor at Chung Ang University in Seoul. JuSeung “Daniel” Yi believes debate has the power to change one’s life and he is living proof of this statement! Instead of taking the typical path of a business major in Korea (i.e. working for one of the nation’s many conglomerates), JuSeung decided to establish his own social venture, Debate for All, in hopes of spreading debate across the Northeast Asian region. He embarked on his debate career in the most challenging and rewarding way by serving as the founder and 3-year captain of SolBridge Debate Society. Among his many accomplishments as a debater, he went on to the ESL Semi Finals of Australs, Semi Finals of East Asia Invitational, Finals of IDEA-CDO, and Octo Finals of Malaysia Debate Open. JuSeung has also served as the Chief Adjudicator of two Korean nationals, KIDA IV, the first ever international open tournament in Korea, and Northeast Asia Open, the representative tournament of the region, as well as KEDC, which welcomes novice and experienced school debaters. He has taught debate to eager young minds in China, Japan, Taiwan and of course, Korea. He looks forward to meeting the participants of WFUNA Youth Camp: Korea 2014, and listening to their unique and interesting ideas.